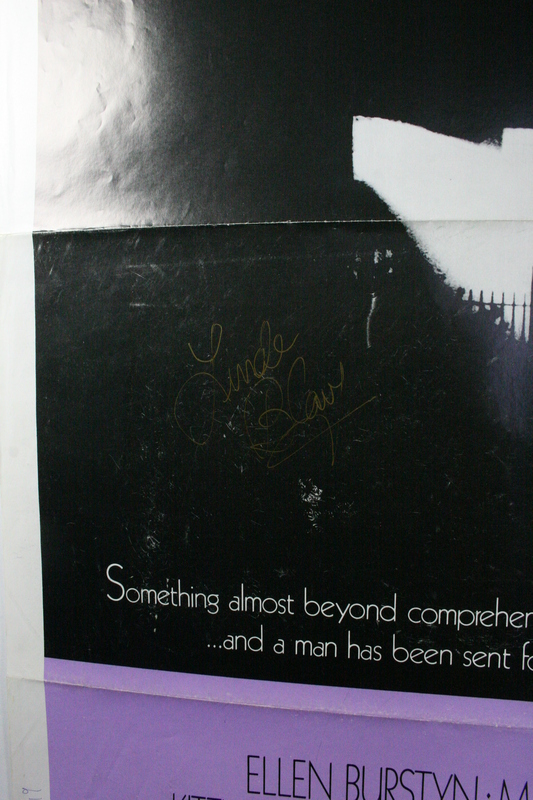 Linen Backing an Autographed Movie Poster. We often get asked if its possible and safe to linen backing a poster that has been autographed. In general linen backing a movie poster which has been signed requires more diligence as some inks that are used may be water soluble. Although the poster does not get wet during linen backing at our conservation studio, it does get damp and we use sponges to work out the air pockets during mounting. We always perform a quick check of each signature to ensure that the inks used are stable and then place a layer of mylar plastic over the poster for protection during the whole process. 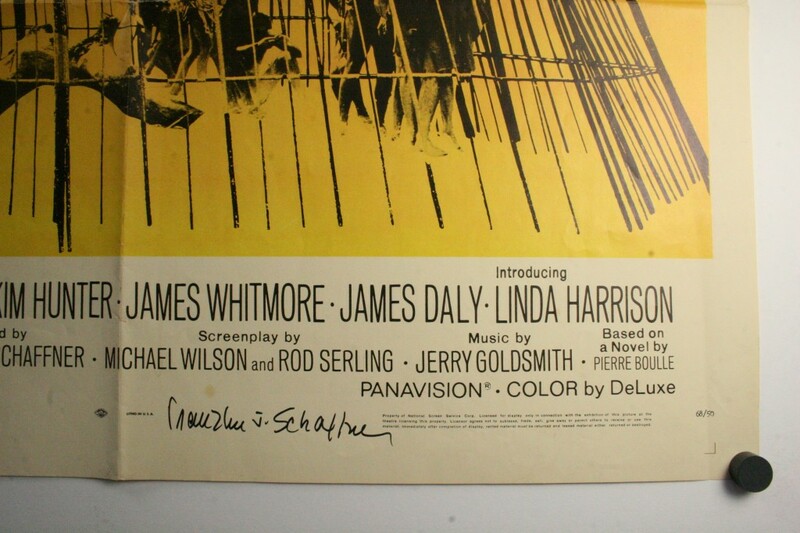 Most modern posters (post 70’s) were signed using permanent inks or ball point pens. 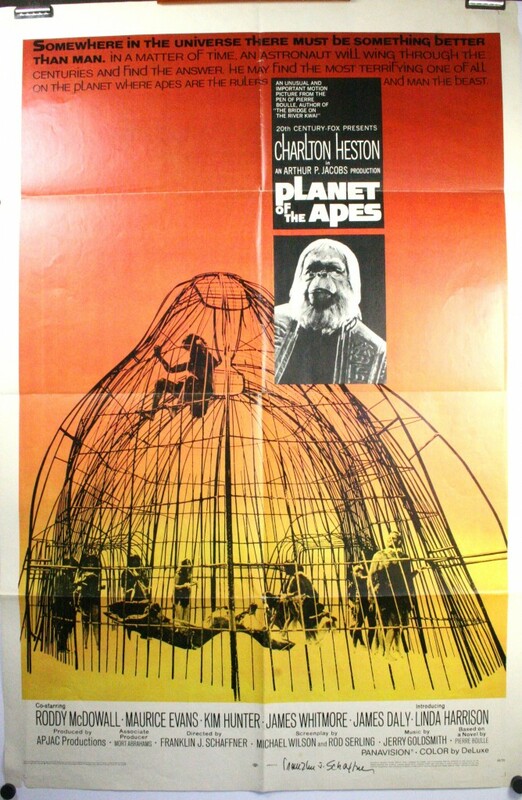 In our experience it’s mainly the older posters (pre 1970’s) that we have encountered water sensitive inks (See the Planet of the Apes poster below). In these cases extra care and precaution is needed to assure no loss of color to the autograph. If you have a poster with an autograph(s) and were trying to decide to linen back it or not please rest assured that we are able to mount it safely! 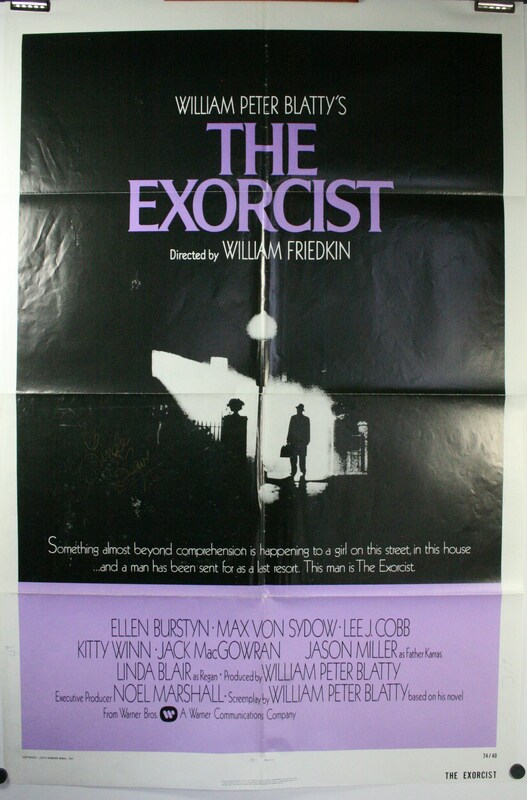 If you are a little earlier in the process and you are thinking about getting your original vintage movie poster autographed at a convention or some other signing opportunity. Do try to get the signature in some inauspicious place. 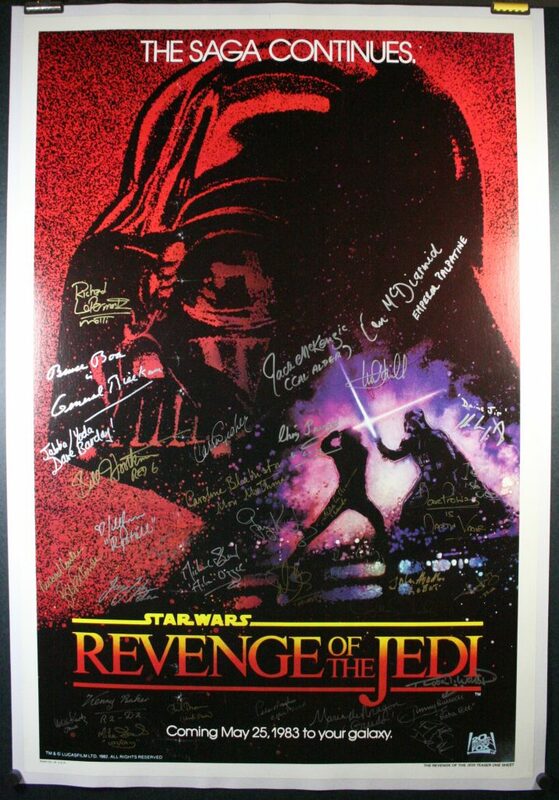 Some collectors actually devalue a poster if it has been autographed in a very obtrusive way. Autographs along the margin, on the back of the poster or in a place that doesnt distract from the artwork is the best location for your favorite celebrity! If you would like to linen back your autographed poster, or have any other questions please feel free to Contact Us at [email protected].